Sole Administrator of Jema’a local government area of Kaduna State, Alhaji Yusuf Usman on Wednesday urged youths in the area to shun any form of gratification and engage in constructive criticism that would keep the government on its toes. 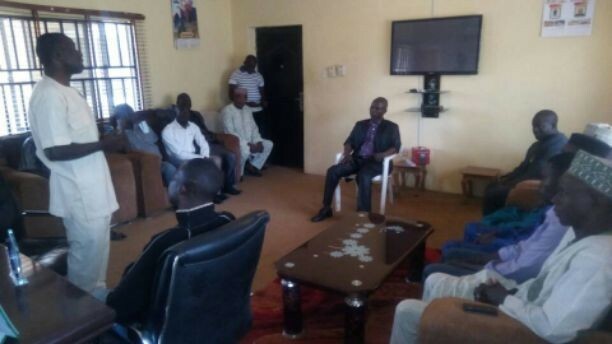 The Administrator spoke in his office in Kafanchan when the Kaninkon Youth Development Association (KYDA) paid him a courtesy visit following Sunday’s attack at Bakin Kogi which claimed four lives and left one injured. Usman said as vibrant members of the community, youths should desist from being tossed with rhetorics esspecialy by politicians and instead, chat positive course that would impact on the next generation. “Such immediate gratifications and rhetorics are only aimed at causing division and hamper on our collective development. “Our Youths should instead, promote constructive criticism that would keep the government on its toe to delivering on its mandate,” he said. Usman noted that there was abundance of natural resources that abound in Kaninkon Chiefdom including, nikle which when tapped, would boost the economy of the area, the State and the Nation at large. He however, charged the youths to contribute to opening up business that would improve the economic value chain and better the living standard of the people. He said the council had as part of its action plan, construction and renovation of Primary Health Care centers and schools including those at Angwan Fari and Angwan Baki communities in the Chiefdom. President of KYDA, Kenneth Gaga in his response applauded the efforts of the council especially in its quick response to the plight occassioned by insecurity. Gaga assured the Administrator of the resolve by the youths from Kaninkon Chiefdom to refrain from any act of reprisal and support government’s development plans. The youths were drawn from Bakin Kogi, Dangoma, Goska, Amba, Garfe, Angwan Fari and Angwan Baki villages in Kaninkon Chiefdom.